Given the right environmental conditions, Acacia trees can grow at the impressive rate of just over an inch per day, that’s over 9m per annum. With that in mind I scanned the North African horizon in the vain hope of spotting a 365m-tall dome shaped colossus. It had been 40 years since I first visited this part of Morocco and according to my GP I am now a half inch shorter. Added to which my vision and hearing is not as keen as it was, plus my hairline has long adopted a one directional tidal phenomenon. And best not get started on aching knees, crumbling lower back, waistline (what waistline) and a fine collection of pelican chins. With each passing year, it strikes me that the term ‘birthday celebration’ takes a step closer to being a marvellous description for the word oxymoron. And these days the ‘celebration’ would probably be better taken with a pipe, slippers and a nice cup of tea rather than sitting atop the new Tiger 800 deep in the Moroccan bush with a manically steep and rocky climb just ahead. I jest, of course, it’s no secret that tea plays havoc with the aging bladder. Morocco has changed considerably since 1978. On arrival at the new and palatial Marrakech airport I recalled the time when I first visited the city and departed from a dusty, decrepit and meltingly hot two-story tin shed that doubled up as its arrivals and departure shack. Back then I’d forgotten to empty my camping stove fuel bottle and only remembered I was carrying petrol onto a plane at the last moment at which point I engaged with a nearby security guard and informed him of my highly flammable predicament. ‘No problem’, or words to that effect, he said. Grabbing hold of the metal container and without a glance he opened the second-floor window and tipped the contents out and onto the public walkway below. He handed the bottle back with the sort of look on his face that said why couldn’t you do that. I departed Marrakech as sounds of excitement rose up from the concourse down below. 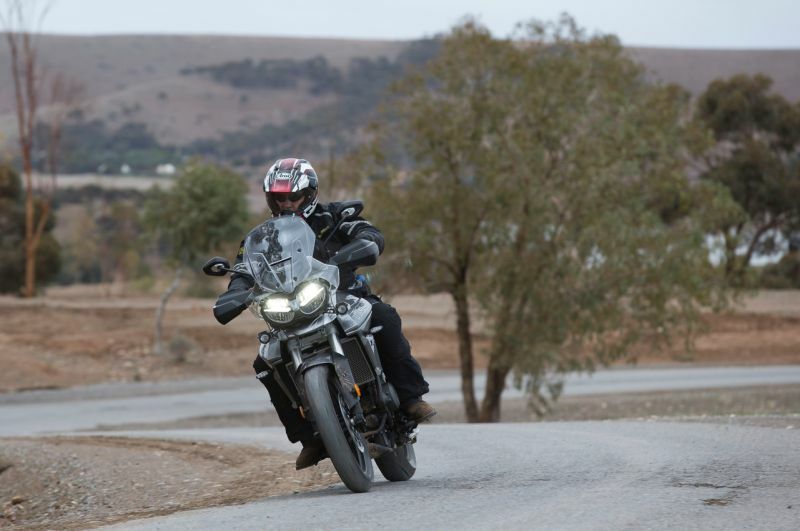 I’ve returned to Morocco many a time under my own steam, but this visit was as a guest of Triumph for the launch of the new Tiger 800. In 1978 my first night in the North African country was spent in a dark and smelly mud hut with a straw roof and no door whereas tonight was to be spent in the Movenpick Marrakech which sported a spa centre and a bathroom larger than a small village. There was also a flat screen TV, bathrobe, slippers and free toiletries. On reflection, I can say with complete certainty, life gets better with age. Following a night of fine food and wine, the launch epicentre moved out of town and went deep native at the Couleurs Berberes tented village. 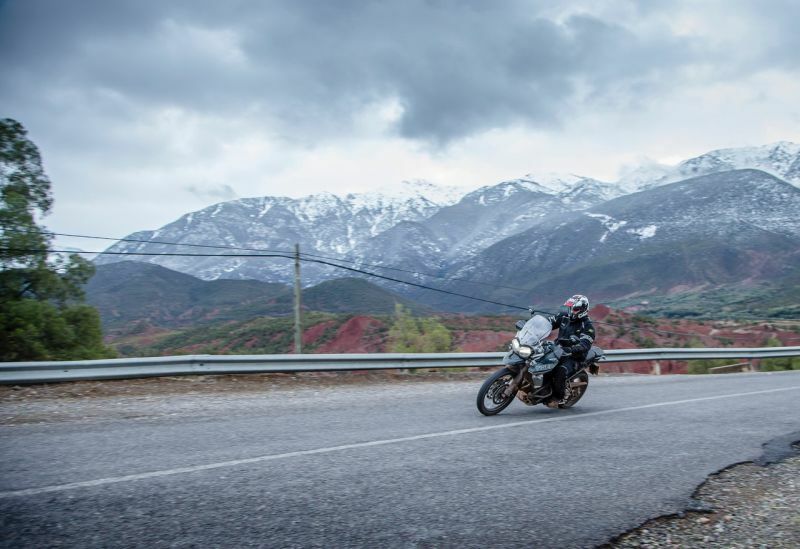 About 45 minutes south of Marrakech, in the foothills of the Atlas Mountains and within sight of the snow-capped 4,165m Mount Toubkal, Triumph had decided to deprive us of flat screen TVs and complimentary grooming products. However, and in keeping with tradition, my Berber tent did feature air conditioning, Wi-Fi, electricity and a couple of bedside cabinets. Disturbingly, the bar, restaurant, pool and, just to remind us we were there to work, the presentation room were an 80-metre trek through the wilderness. The Triumph Tiger has a history stretching back to 1936 where the launch competition bike took gold medal at the International Six Day Trial. 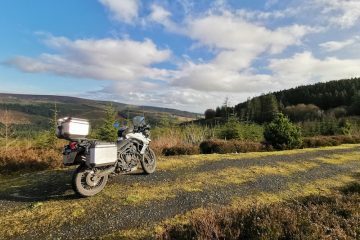 Over the years the bike has morphed through various guises, taking in the Tiger 100 on which Ted Simon famously completed a round the world trip in 1973, and the 1993 Tiger 885 which coincided with the re-birth of the brand under Bloor ownership. Mark one of the 800cc version was launched in 2010 with the updated mark two arriving in 2014. 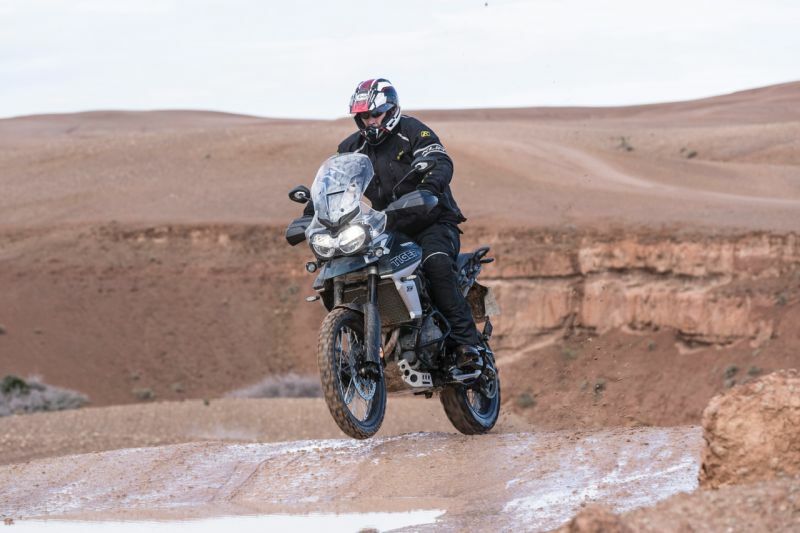 And now, with more than 68,000 Tiger 800s sold since the bike’s conception, I was roughing it in Morocco at the world press launch of the highly anticipated mark three. Launches usually kick off with a presentation where the brand manager and engineers detail the overall objectives of the bike and specific improvements in parts and performance respectively. It’s a great opportunity for journalists to get a flavour of the company’s thoughts, aspirations and ambitions for a new bike from senior executives. 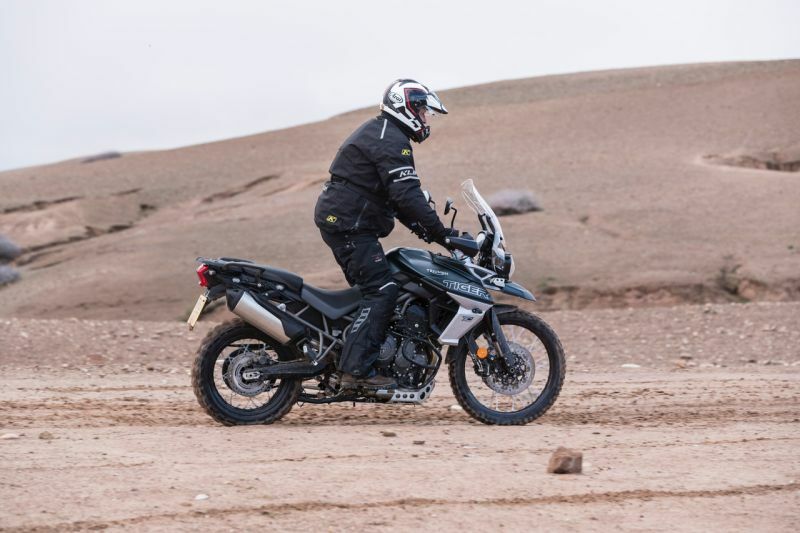 In the case of the Tiger, we were told the company’s objective was to make a great bike even better and to offer a more focused performance for each style of adventure, be that on or off-road. The main thrusts of improvement would be via performance, technology, versatility and premium quality of finish. 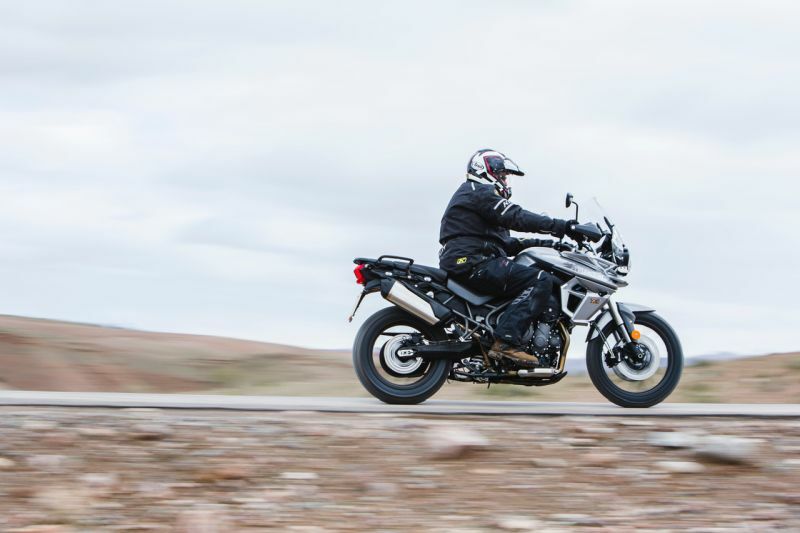 Continuing with Triumph’s style of offering a bewildering variety of models, the company also confirmed it would be offering six different flavours of the Tiger 800 with an XR prefix signifying a more on-road bias and the XC favouring the dirt. 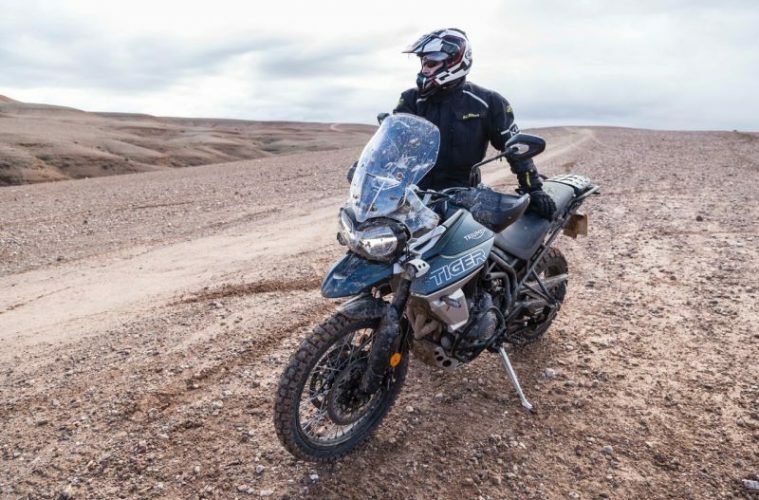 The Moroccan weather had decided to play its part to help launch a new adventure bike which translates into a re-drafting of routes as our planned ride was cut off with snow. So we set off north, through the village of Lalla Takerkoust instead of south through the Atlas Mountains. With the temperature just above freezing and a late start I had neither the time nor inclination to check out the finer details of the new Tiger other than to head straight for the heated grips and seat. Full marks for both though, I wouldn’t mind the grips being a touch warmer or failing that a launch relocation to South Africa. Being an adventure bike, the stance on the 800 is just about spot on if you like sitting upright. Triumph claims that the bars have been moved slightly back from the previous version which was not something I’d have noticed unless told, though can confirm that, as with the previous model, the ergonomics are spot on for all-day comfort. I say this from personal experience, and from observing other riders on the launch where you can usually tell how well proportioned a bike is during the last hour of the day when riders begin flexing and repositioning legs and standing up for long stretches. Not a single fidget was observed. The main A roads in Morocco are pretty good these days with a lot of Chinese cash paying for new routes and the resurfacing of old in exchange for mining rights. The ‘B’ roads are another story. I presume at some pont in history these lesser roads were two lane affairs, but they are now worn down to a central strip of tarmac laced with potholes, cracks and the full gambit of other imperfections. In the odd areas where the road is intact it’s usually sprayed with sand, gravel and dust which, in the wet season, means slime and mud. In short, absolutely spot on for testing ABS, traction control, suspension and your gonads, especially so when a vehicle approaches from the other direction. There’s only one rule to follow on Moroccan B roads; size matters. The larger vehicle stays on the narrow strip of tarmac with the lesser vehicle forced off to the sides. Riding a motorcycle on a busy B road means you’ll spend just as much time riding on broken gravel shoulders as on potholed tarmac. Probably not the best test for European conditions but great fun all the same. As a point of interest, the size thing doesn’t appear to apply when it comes to capacity of motorcycles, if it were not for last minute evasive tactics I’d now be writing this whilst imbedded in a moped in North Africa rather than at my desk. I’ve never thought there to be much wrong with previous versions of the 800 engine and drive train, which offered plenty enough torque, smooth linear power and well-spaced gearing. If forced into nit picking, then the low-down grunt could have been tweaked and that’s precisely what Triumph have done along with shortening the first gear ratio. On the road, both of these changes offer marginal performance benefit though, as I would find out, on the off-road trails on day two they provide the rider with far better low-speed control. The ride by wire fuel injection is silky smooth as is the clutch and gear change and the difference in power output between the numerous riding modes is more noticeable than on many other machines I’ve tested of late. The default mode is ‘Road’ though I’d guess in dry conditions most riders will prefer the sprightly ‘Sport’ mode which offers full power whilst retaining ABS and Traction Control. 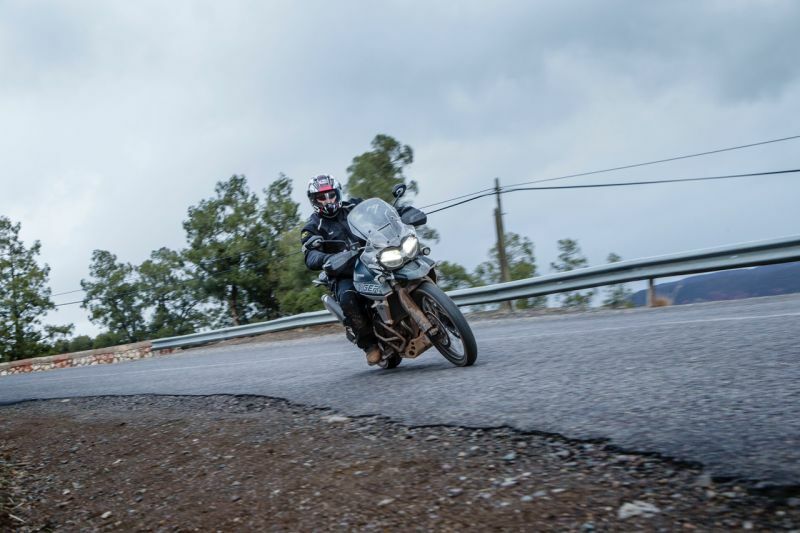 Rain mode, which came in handy on some wet, muddy Moroccan roads, is a lot less responsive at the throttle and provides greater electronic intervention should things start getting out of control. Just what you need. There’s also an ‘Off-road’ mode plus the top of the range XRt features a fully customisable ‘Rider’ mode and the XCa an additional ‘Off-road Pro’ mode. Just so you know; Off-road disables ABS at the rear only, whilst Off-road Pro switches off traction control and ABS at front and rear. With the exception of both off-road maps, changing mode is a push on a button, a jog through the modes on the new five-way joystick followed by a press to select. Simple. To engage off-road modes, the Tiger needs to be stationary and the system will default back to road mode should you switch the engine off. Triumph have done this for safety reasons so that you don’t find yourself with no ABS and Traction control by chance. Triumph engineers have also worked on ‘mass optimisation’ which in lay man terms means reducing the weight of components and configuring them as close to the central core of the bike as possible. Apparently, there have been over 200 modifications to the engine and chassis, and the net effect of mass optimisation is a more all-round responsive feel to the bike, which was noticeable. Despite the XCa coming with a 21in spoked front wheel I did not find that much of a difference between the two bikes on tarmac. Both the Showa (XR) and WP (XC) suspension are more than up for the job as are the excellent brakes. The handling on both bikes is typical of past Tigers and by that, I mean neutral, composed and confidence inspiring. 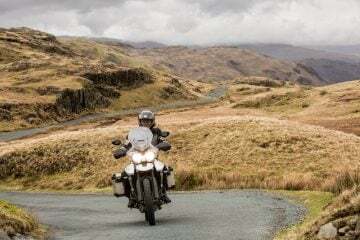 On a particularly twisty section of dry road where we did cut loose, the 800 proved it’s got more than enough power and poise for just about any purpose. Refinement was a word that kept coming up on the launch especially so with rider aid features and, as mentioned previously, the two of early note were the heated seat and grips which became even more of a godsend later in the ride when crossing a high mountain pass in blizzard conditions. The new cruise control is now positioned on the left-hand bar, which makes it far easier to operate, plus you get back lighting on controls, a USB point and 12v power socket, all LED lighting, a new five-way adjustable screen and a couple of small wind deflectors. However, the biggest upgrade and refinement is the addition of a new TFT display which, I have to say, is one of the best currently fitted to a motorcycle. Full colour graphics, easy to read, user friendly and perfectly complimented by new switch cubes and directional joystick. All in all, scrolling through the variety of screens, information and controls is as intuitive and user friendly as it gets. Full marks here. Anyone who takes pleasure from off-road riding on our ever-diminishing quota of green lanes will find Morocco a destination close to heaven. In just about every area of the country you can pick a spot on the horizon and ride without the fear of a woolly hatted rambler or NIMBY threatening Jihad. A great location then to check out the ability of the Tiger 800. It had rained overnight, which meant the normally hard packed dusty trails had a top layer of slippery, gloopy mud. Good news then that the XCa came fitted with knobbly Pirelli Scorpion Rally tyres. Our ride out was on the undulating terrain to the south west of Lalla Takerkoust, a spot favoured by quad rental companies cashing in on the Marrakech tourist trade. We were split into small groups depending on ability and experience and, to my surprise, I found I was posted in the ‘expert’ group. Led by Nick Plumb (four times Dakar veteran) and Felipe Lopez (another Rally expert) the route would take us along fast paced desert piste, steep rocky accents and descents, and more technical sections including the soft sands of dried up river beds. The first 30 minutes was, to put it mildly, scary. The wet and slippery top layer was a nightmare to ride at speed. I was never completely at ease and more than happy that the Triumph came with an off-road mode that included effective traction control and ABS. The good news was that, with clear skies and a stiff wind, the top layer was drying out fast and it wasn’t long before we were tamping along gravel and dirt trails at speeds of over 80mph, which I find both thrilling and terrifying at the same time. The WP suspension is fully adjustable at the front and rear and offers 8.7in of travel at the forks and 8.5 inches at the aft. We were constantly hitting full flight jumps and deep perpendicular wash-out ruts at speed, and the suspension soaked it all up without bottoming or bending out of shape. I can tell you now, I doubt any purchaser (including me) would attempt riding at the speeds and over the terrain we were riding. But if they did, the Triumph would be at home. On slower, more technical sections the new shorter first gear showed its worth. It proved perfect for slow speed control without having to continually slip the clutch, spot on for controlling steep, tricky descents and, when combined with the upgraded low down tractable torque, the 800 chugged away up steep, twisty and slippery ascents. But what really impressed with the XCa was the performance in the ‘off-road’ mode, where the traction control allows for an element of slip and slide before intervening and the ABS is disabled at the rear only. Speaking to a Triumph technician at the launch, he explained how algorithms controlling the electronics are improving all the time in the same way that mechanical features do. The net result is that they are becoming more precise and in tune with conditions and riding style. Trust me when I say doing a controlled, hero style drift around a gravel corner at 70mph in off-road mode is achievable by mortals, should you have a mind to. 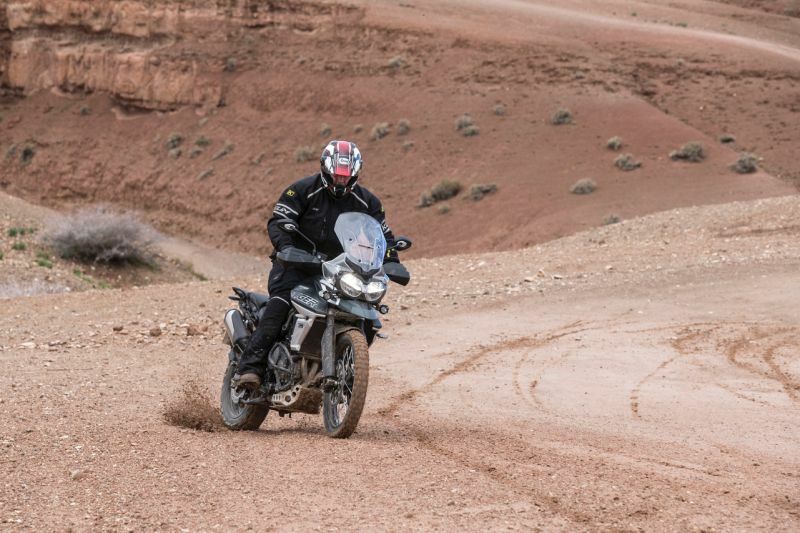 Triumph have taken what was already a great adventure bike and made it better. And if that sounds like an all endorsing compliment then yes, it is. Given the choice, I’d go for the XCa; I found it just as capable on the tarmac as the XRt and it’s leaps ahead when it comes to off-road ability. 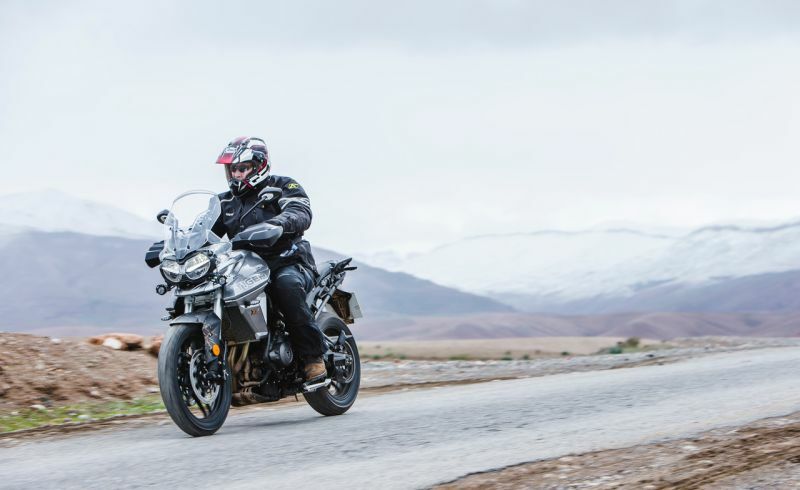 In short, the Tiger 800 would make a great all-round purchase, performing well as a commuter, long distance tourer plus there’s enough oomph on tap to accommodate any red mist moments. 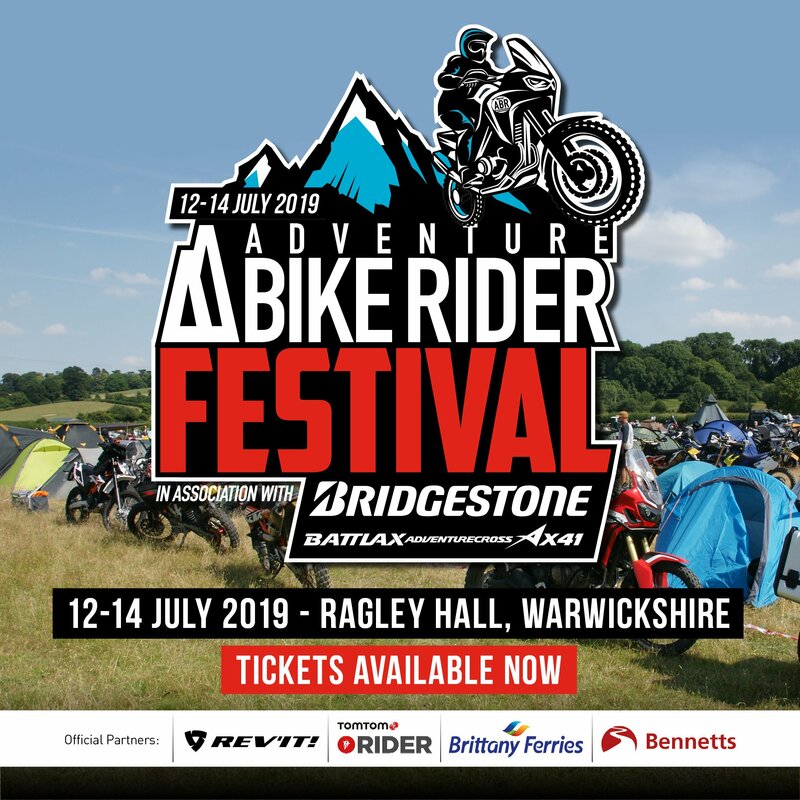 I can think of only one practical reason you may be better suited with a larger capacity adventure bike and that’s if a pillion is a constant rather than occasional companion. As a commuter: Comfortable, nippy, decent mpg, reliable and good visibility from the upright stance. Just what you need for everyday travel. As a weekend tourer: Over the years, I’ve spent many enjoyable long weekends away on a Triumph 800 and can’t think of any reason why this mark three model would prove any different. As an off-roader: The biggest surprise on the launch was just how capable these bikes are in some serious off-road conditions. For its size and weight, I’ve no complaints. As a continental road tourer: Plenty of power and comfort for long days spent on European motorways, and performance and poise to match on twistier Alpine roads. Plenty of luggage options too. As an RTW overlander: There’s plenty of documented accounts of riders travelling around the world on Triumph 800s. Given the time and opportunity I wouldn’t think twice about doing so myself. As a pillion carrier: A capable pillion carrier, though some may find a larger capacity machine more suitable if a pillion is a permanent feature.